NOTE: This is the another in a long series of programs looking at more contemporary takes on early music. I. La voce della passione—Passion chants between Middle Ages and Sicilian Folklore (Noemi la Terra/Ensemble Donnafugata). Raum Klang CD RK 3301. The tradition of Passion songs during the “Settimana Santa,” Holy Week, exists to the present day in many areas of southern Italy: weeping Madonna statues are carried in processions through the streets of the cities and villages so that the Mater Dolorosa can see “with her own eyes” the Crucifixus – the Christ statue taken down from the cross – laid out in every church. The songs that are heard during these processions number among the most moving testimonies of Christian musical history, linking, as they do, the transcendental sorrow of the devout at the death of Jesus and the very real sorrow of a mother for her deceased son. They are the last legacy of a direct participation of the people in the rites around Jesus Christ’s suffering, death, and resurrection. II. 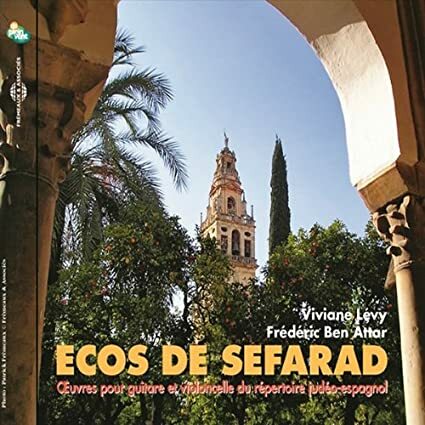 Ecos de Sefarad (Viviane Levy, ce./Frédéric Ben Attar, guitar). Frémaux & assoc. CD FA 9513. Sephardic music of the late 15th century, in its original form, consisted of secular songs about people's everyday lives: songs of love, travel, drinking, and the contemplation of nature. The music is often modal, with intertwining melodies that alternate ternary and binary rhythms, and repetitive, haunting tunes. This album by cellist Viviane Levy and guitarist Frédéric Ben Attar offers a purely instrumental take on these traditional songs that emphasizes the rich colors and emotional power of the music. JORGE LIDERMANN (1957-2008): Aires de Sefarad: ADIOS QUERIDA • ALCI MIS AJOS AL CIELO • CINCO AÑOS YA VA A HAZER • MORENA ME ILAMAN • MI PADRE ERA DE FRANCIA • LA SOLEDAD DE LA NOCHADA • POR LA PUERTA YO PASI • CASCAVELA DEL AMOR • YENDOME PARA MARSILIA • MI SUEGRA • LA VIDA DO POR EL. III. 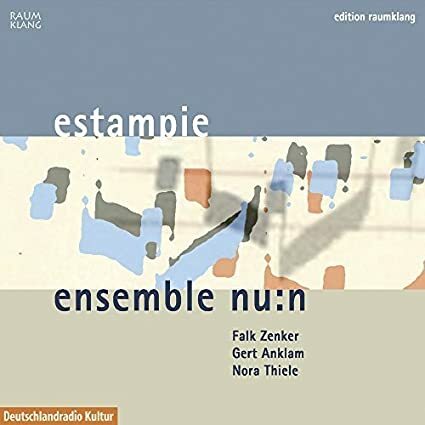 estampie (Ensemble nu:n). Raumklang CD RK 3307. "Time reveals the scent of the Orient from the centuries-old parchment pages; sometimes it sounds of flamenco, sometimes of modal jazz, but never do the three musicians of the ensemble nu: n waver. Their fierce creativity leads them to improvise with imagination, taste, respect and also malleability. ... A wonderful CD to be listened to with a night-journey of dreams and wonder. "